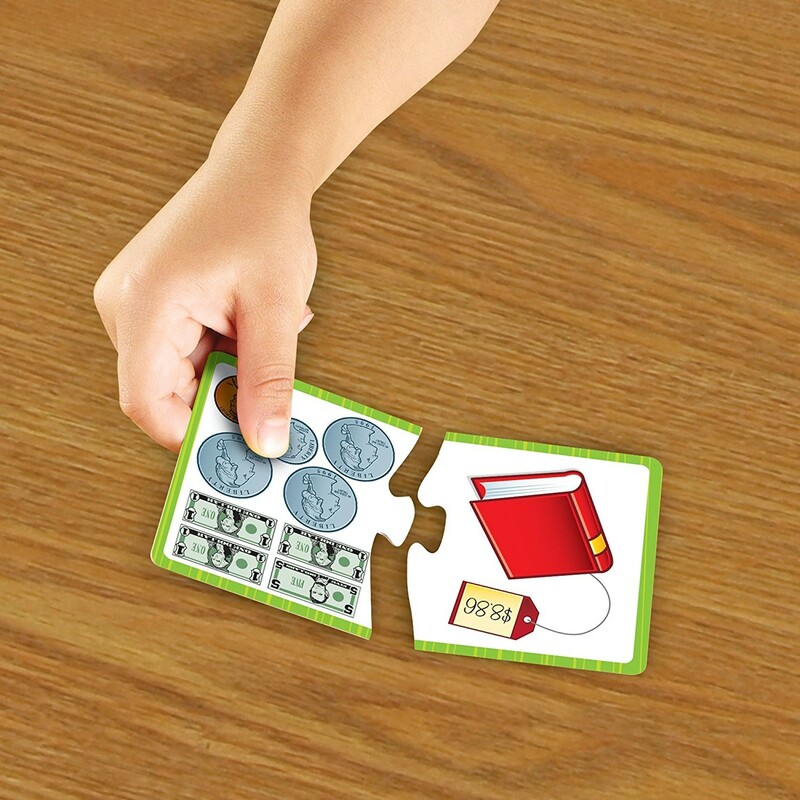 Master early math skills and money concepts with this Learning Resources' Money Activity Set! 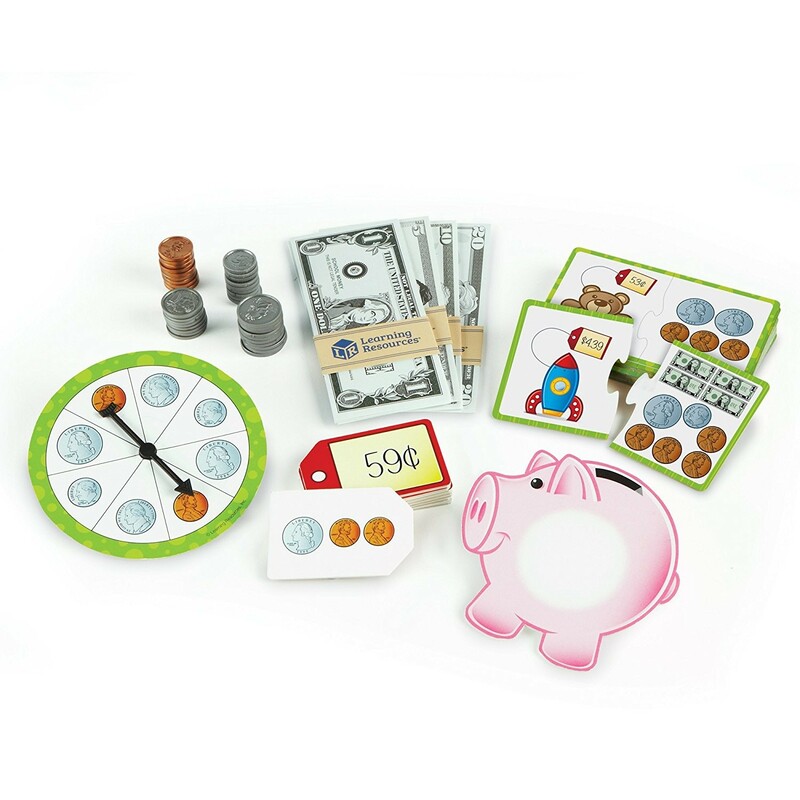 Master math skills and learn how to recognize, add and subtract money, coin and bills denominations, change and savings concepts and more! 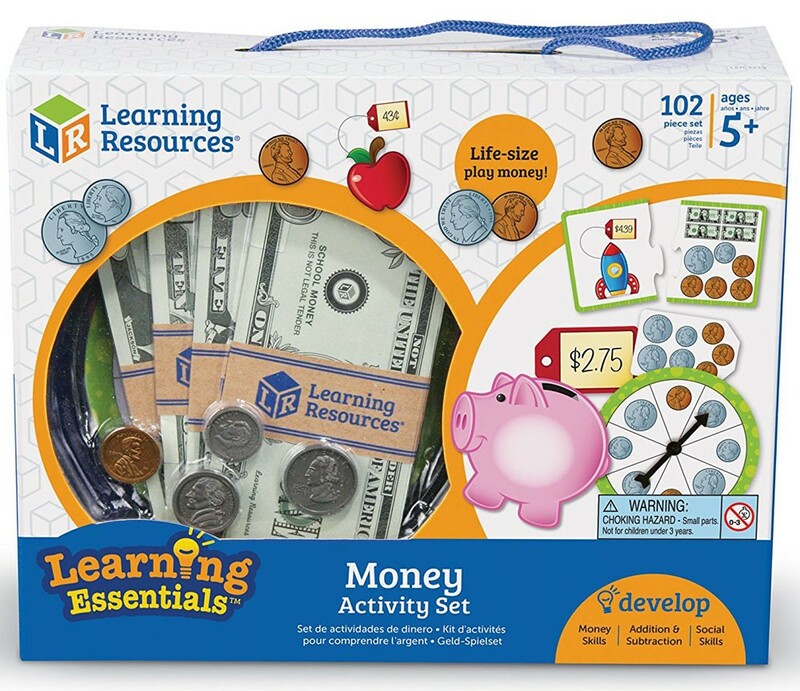 The new educational kit from Learning Resources brings 102 pieces to develop early money skills. 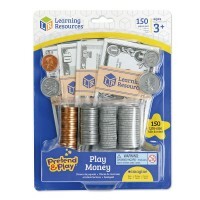 Money Activity Math Learning Set contains realistic looking play money, play spinner, money activity cards, and learning materials. 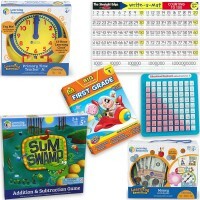 Kids from preschoolers to 2nd graders will become flexible with the money concepts and operations doing comprehensive activities from this Educational Toys Planet's learning set. 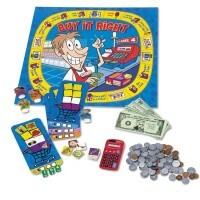 Dimensions of package 8.1" x 10" x 2.5"
Write your own review of Money Activity Math Learning Set. Rating: 5 Durable and fun! 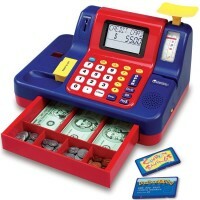 by By A customer Great quality and fun learning with my 6 year old. Love this set! Rating: 5 Well-Made! And Fun! by By A customer Quality, Fun, really does help! Rating: 3 Moldy Cards by By A customer We ordered this through our school curriculum purchaser. Great, well made set. HOWEVER, when I opened the puzzle cards, there was a very strong mold smell (instant headache) and the edges were covered in it. 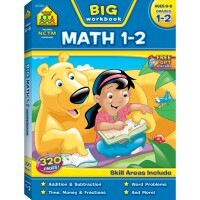 Looking forward to using the set after I return it to our school so that they can return and exchange it somehow. Really, really looking forward to using it. Bummed we’re getting off on the wrong foot. Rating: 5 Great way to learn money! by By A customer The kids loved it. They didn’t even realize how much they were learning. Rating: 5 Great product by By A customer Great quality, easy to use. 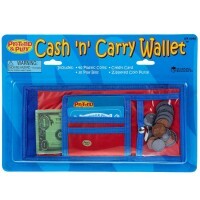 My kids love learning about money with these. 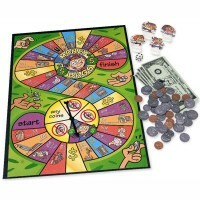 Rating: 5 Great starter set to introduce money by By A customer So excited to start using this. 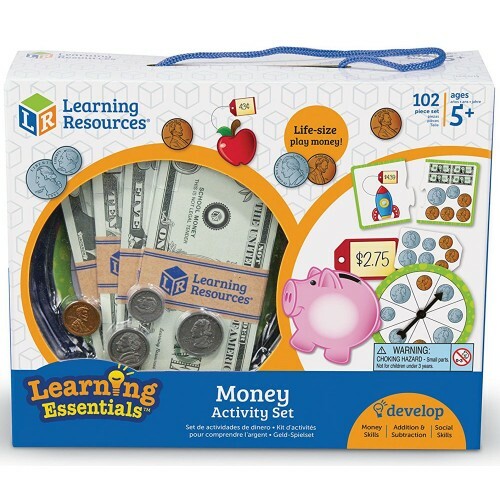 Great starter set to introduce money. The money is actually acceptable size, to real money. 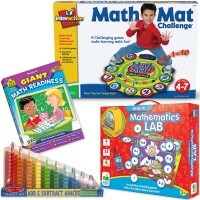 The activities are fun and entertaining. Rating: 5 This set is amazing! 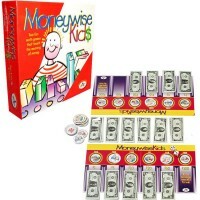 It looks like real money and has many ... by By A customer This set is amazing! 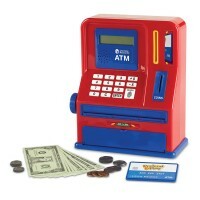 It looks like real money and has many ways to use it. Came with way more than I thought it did.